Looking for a immaculate 3 bedroom Colonial with 2 car garage in Eastlake? Look no further. This well-kept home with neutral color palate, updated spacious country kitchen, sets on a quiet street. 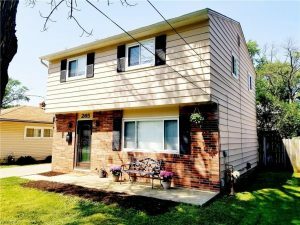 This property boasts two refinished bathrooms, all new flooring (ceramic tile, carpet, hardwood), and beautifully landscaped yard! Maintenance will not be a concern.